BERLIN -- Five German Volkswagen Group executives facing U.S. charges linked to the diesel-emissions cheating scandal may be able to avoid jail, but they may never be able to travel beyond Germany again. While Germany doesn't extradite its citizens to countries outside the European Union, the U.S. can seek an international arrest warrant that would be executed if any of the men left the country. That’s the dilemma now facing Heinz-Jakob Neusser, Richard Dorenkamp, Bernd Gottweis and two others, who were charged Wednesday in a court in Michigan. Wolfburg-based Volkswagen took a major step toward resolving the darkest financial crisis in its history on Wednesday, agreeing to plead guilty to the emissions-cheating scandal and agreeing to pay $4.3 billion. At the same time, prosecutors announced charges against the five individuals in Germany bringing the total number of company officials indicted to seven. In the months leading up to Wednesday’s corporate settlement and indictment against individuals, lawyers had begun to warn clients not to leave the country as fears of impending U.S. charges grew. The one official who failed to heed the advice is now in a U.S. jail. Oliver Schmidt, the company’s liaison with U.S. regulators, was arrested at the Miami airport Saturday as he prepared to fly home from a vacation. U.S. investigators had filed a criminal complaint against him on Dec. 30 at a U.S. District Court in Michigan. VW refuses to disclose the employment status of the charged individuals, but a top U.S. prosector said three of them remain on the VW payroll. Prosecutors know from experience, however, that the five other men will be able to evade capture as long as they stay in Germany. In a previous German scandal, U.S. officials in 2011 charged eight Siemens officials and agents in relation to a bribery scheme. None of the accused appeared in court for four years, when one former executive traveled to New York to plead guilty. As part of a plea agreement, he agreed to provide information and testify against the others. The situation in Germany is in stark contrast to the UK British currency traders who were also charged this week in the waning days of the President Barack Obama’s administration face an extended, but largely futile fight against extradition, lawyers say. "Germany and a number of other countries have better protections for their citizens so, while they may be trapped in the jurisdiction, they at least have some safety from the long-arm of U.S. law enforcement," said Karen Todner, a London extradition lawyer. U.S. Attorney General Loretta Lynch said at a press conference in Washington on Wednesday that it’s “too early” to say how it would handle prosecutions for the five individuals that are in Germany. Cooperation may be the way for the five Germans in the VW case to avoid a prolonged standoff that may affect more than their travel plans, said Oliver Wallasch, a Frankfurt-based defense attorney who often represents clients in extradition cases. "The U.S. can mount up enormous pressure," Wallasch said. "But they can also release that pressure very quickly, because there’s plea bargaining. With a good defense strategy you can avoid an arrest warrant." Wallasch said that in a recent tax case, a client was facing up to 15 years in prison. After negotiating with U.S. prosecutors, the client voluntarily went to the U.S. and the case was resolved without a prison term. 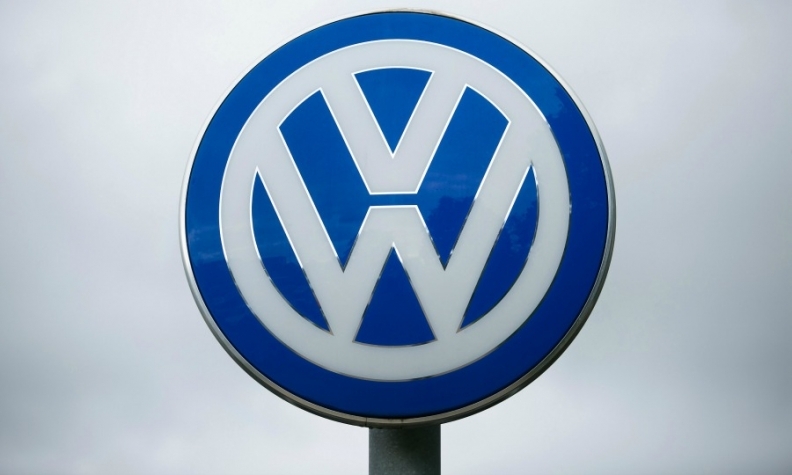 "That should also be the road map for the people at VW who are facing U.S. investigations," he said. Being locked in Germany "is no option for someone in an international industry. You don’t want to stay in Wolfsburg for good." Any slip ups, like the one made by Schmidt, could lead to a swift arrest as the U.S. can enlist help of other countries via Interpol. German hedge fund manager Florian Homm who was sought by the U.S. for investor fraud was arrested in 2013 at the famous Uffizi Gallery in Florence, Italy. In 2009, director Roman Polanski was arrested in Switzerland on more than 30-year-old sexual assault charges when he ventured out of France -- which also doesn’t extradite its citizens, to accept an award. Polanski was eventually released by the Swiss after a 10-month extradition fight. "You don’t know what the authorities are doing, whether there’s an arrest warrant or what risks there might be," said Lesch, who represents one of the Siemens executives.